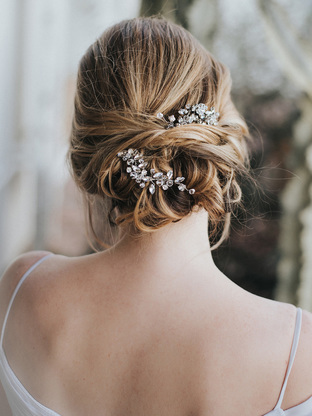 Ariel Katrina Hair partners with Hair Comes The Bride to bring you the best bridal hair accessories at a discounted price! Ariel Katrina Hair brides can receive 20% off at Hair Comes The Bride using code: ARIELKATRINA. Hair Comes The Bride has a “Try then Buy” program that lets you order and try on 3 accessories (for free! code: ARIELKATRINA) for you to try on at home or bring to your hair trial! Ask us for more info! Try on some of Ariel’s favorites at your hair trial, or ask us for suggestions that go with your style! Ariel Katrina Hair beautifies brides and her ladies in NJ | PA | DE & beyond. We can't wait to be a part of your big day.